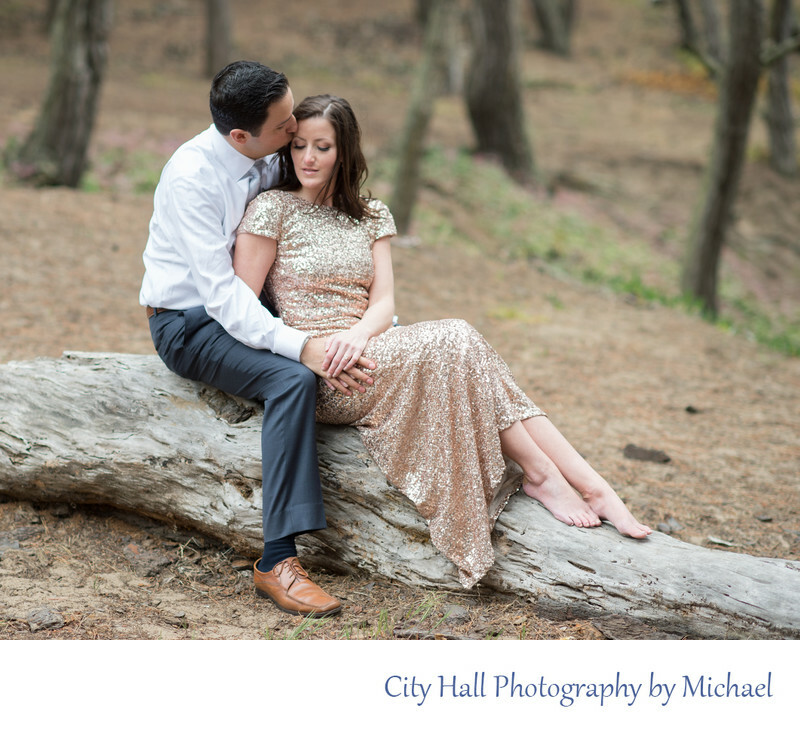 We really enjoy taking our brides and grooms to San Francisco's Baker Beach. What makes this location so special is the variety of photography background opportunities. Many of our recently married couples just think of Baker Beach as a nice place to get a Golden Gate Bridge photo, but there is so much more! Besides the bridge, we also can get some simple wedding photography images of the couple walking along the beach. Another option is pictures of them wading in the water or just playfully interacting. As you can see from the image above, there is also a secondary area for wedding photography at Baker Beach. This area has trees, sand and colorful bushes. We love to take our couples here and get away from the tourists!